Meet Vincent Bolletta, one of New Zealand’s foremost yoga instructors and teacher trainers and the founder of hañsa Yoga, a unique style of yoga that integrates both eastern and western thought and methodologies. 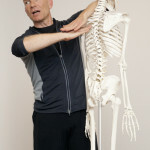 Vincent’s been in the yoga game a long time—he’s been practising yoga since 1989 and teaching since 1991—but alongside his considerable knowledge and experience in the field, he still cultivates a beautiful sense of excitement, joy and curiosity towards the practice that has shaped his life. In this intimate conversation, you’ll also have the privilege of joining Vincent and The Yoga Lunchbox founder Kara-Leah as their conversation delves into all kind of juicy yoga goodness, including the inside story on Vincent’s upcoming Yoga Therapy Teacher Training in New Zealand, the most important conversations yoga teachers can have with their students and the pitfalls of modern yoga. Part One 2018: Friday 27th July – Wednesday 1st August & Saturday 4th August – Wednesday 8th August. Part Two 2019: Friday 26th July – Wednesday 31st July & Saturday 3rd August – Wednesday 7th August. 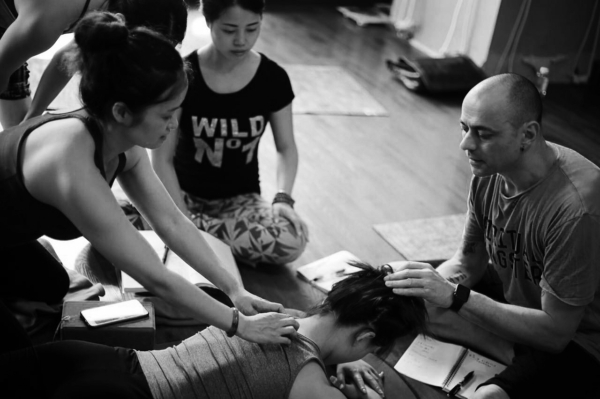 Join Vincent for a 200-hour training, spread out over two years, that will explore the therapeutic aspects of yoga at a deep level, using both Western and Eastern methodologies to encompass a broad spectrum of ideas, from developmental movement principles to applied biomechanics and specific protocols of postural assessment. For more info please email Flow Hot Yoga or visit the Flow Hot Yoga website.